Lichfield Castle isn’t a spectacular ruin like Kenilworth nor a well-preserved motte and bailey like Tamworth. Our castle is a conundrum and the mystery of where it stood has intrigued people for centuries. Almost 500 years ago John Leland wrote that there had been a castle of ancient time in the south end of the town, but that nothing remained. He noted that there was a place called Castle Field , where there were dykes, but concluded that it was more likely that the castle would have stood in the Close, with the ground being somewhat castle-like. Richard II spent Christmas 1397, in Lichfield Castle, consuming 200 tuns of wine and 2000 oxen.Two years later, the King’s fortunes had changed and he was imprisoned in Lichfield on route from Chester to London.Some accounts just say he was incarcerated in Lichfield Castle, others specify a tower in the Close and the County History of Stafford, says that the Richard was held in the Archdeacon of Chester’s house in Beacon Street. J Gould’s report on Lichfield Archaeology & Development says that if King Richard was imprisoned in the fortified Close, it would most likely have been in the North East tower, the footings of which can be still be seen. The tower was said to have been 52 feet high, 20 foot above the rest of the buildings.In some versions of the story it is reported that an unsuccessful attempt was made to escape through a window! To add to my confusion, Thomas Harwood wrote in his History of Lichfield, that King Richard spent Christmas in the Close and that later he was imprisoned in the magnificent tower in the Close, built by Bishop Clinton. However, in Sampson Erdeswick’s Survey of Staffordshire (which I understand was written in the late 16th Century, with a version edited by Thomas Harwood published in the 1844) both the castle and Bishop Clinton’s fortifications are listed, seemingly as two separate entities ‘The castle, in which Ric. II. kept his Christmas in 1397, and in which, two years afterwards, he was confined; the city walls; bishop Clinton’s costly fortifications ; with the beautiful western gate, are all levelled. The castle stood on an eminence on the south side of Tamworth-street, the site of which is now occupied by small houses and gardens”. The case for the Tamworth Street site seems to consist of the place names in that area (Castle Dyke, Castle Field (historic)) and (rather tenuously) a large amount of ox bones dug up in the 1800s in nearby ‘Oxenbury Field’ that were said to be the remains of Richard’s Christmas feast. It seems traces of old stonework found in this area were locally considered proof of a castle here but a report by the South Staffordshire Archaeological & Historical Society (SSAHS) discounts these as merely the cellars of domestic buildings. So, it seems there could have been two castles, with references to each becoming confused and muddled over the years.It seems the castle relating to King Richard was the fortified Close and there may also have been an Anglo-Saxon castle.As ever, this raises more questions.Why did the original Lichfield Castle vanish, yet Tamworth’s and Stafford’s castles still stand strong today?Was it abandoned after the fortification of the Close or before? 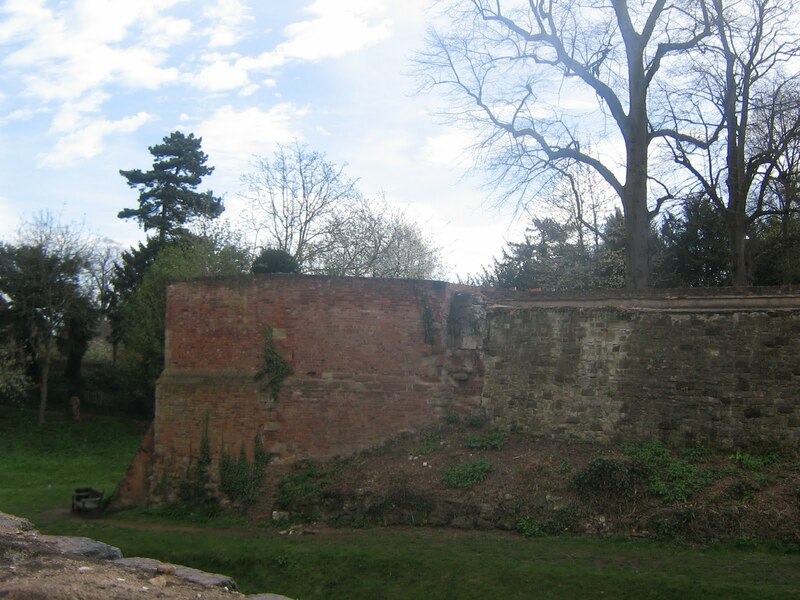 Did it stand on Borrowcop Hill?The mystery of Lichfield Castle continues…. The Itinerary of John Leland in or about the years 1535-1543. Thank you for your encouragment, I absolutely love doing this blog!You'll like this – Borrowcop Hill is the traditional burial site of the three Christian Kings who were killed in battle with King Penda, AD 288, and appear on the city seal. I'm hoping to do a post about it soon…We've also been looking into another potential barrow called Knowle Hill/Bury Hill which I started a post on in Feb and just updated. Do have a look and let me know if you have any thoughts :0) Thanks! There is a lot of mystery surrounding whether Lichfield had a castle or the exact location. Yes, I think it’s a question that’s been debated for quite a while. Wonder if we’ll ever know for sure? Thank you for this fantastic site! As a Lichfeldian (though not by birth) I cannot believe there was not some form of castle! Lichfield was a walled city (there are gates, and if my eyes do not deceive me, the playing field east of the cathedral has what looks suspiciously like a wall bordering it on the north (albeit a wall covered in soil…) if I was to make a guess, I’d say that under the turf there would be the remains of a city wall. If you have gates, you have gatehouses, and gatehouses need guards. Guards suggest some form of militia. They’ve got to live somewhere. Also, looking at Lichfied as a medieval city, it was rather large, (from the Friary up to the north of the cathedral is quite a distance for the time). It was a large city with a Cathedral (which means it had gold and silver trappings) and wealth would require protection. Even if the structure is little more than a barracks, it had to be somewhere within the city. I have to agree that the tower north of the Cathedral looks like a fortification (arrow loops and all). I’m going to start working on a map of Staffordshire in the middle ages, showing towns, chuches, cathedrals and castles (for my own benefit…LOL) and Lichfield castle is going on it. By the way, have you seen what looks like another remnant of the Close’s fortifications opposite Netwon’s College, just off Beacon St. There really does seem to be mixed views on whether the castle was just the fortified Close or whether it was an independent structure. I know someone else is looking for it too, concentrating on the old ditch. Also have you seen the moated medieval site up at Abnalls Lane (not that there’s much left to see & actually you’re probably better looking on google earth from above!)? I’d love to know more about this too.